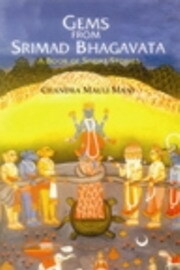 This is a book of short stories culled from Srimad Bhagavata, the treasure-house that forms the cornerstone of all devotional (Bhakti) movements amongst the Hindus. It has influenced generations of devout Hindus ranging from learned to the illiterate, the sophisticated urbanite to the simple villager. It is verily, the most precious gem in the Hindu sacred literature.